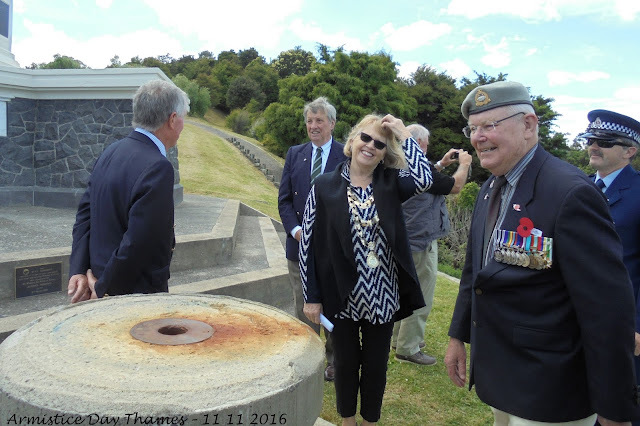 Awhile back we wrote about the sun dial that once stood proudly in front of the WWI Peace Memorial on the Waiotahi Spur - accessed via Waiotahi Creek Road - Monument Road. 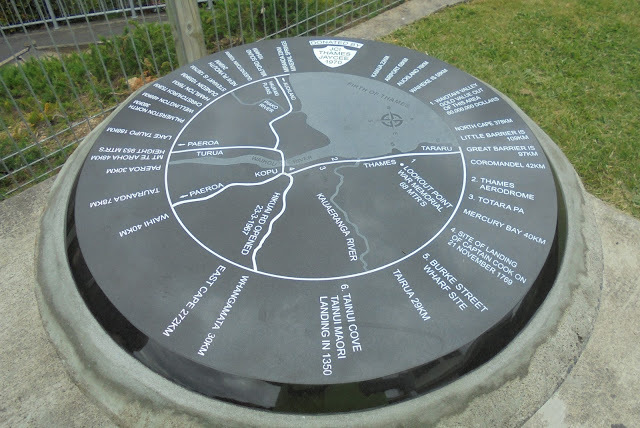 Due to vandalism, the 'object' was removed a few years back and the base has been standing incomplete for sometime. There was talk at last years Armistice Day, that a replacement top plaque may be imminent. 2016 view of the base where once the Sun Dial stood. Well, this Armistice Day (2017), a new dial is in place, and looks magnificent. I would say more correctly these days we would have to label it a 'Direction finder'. 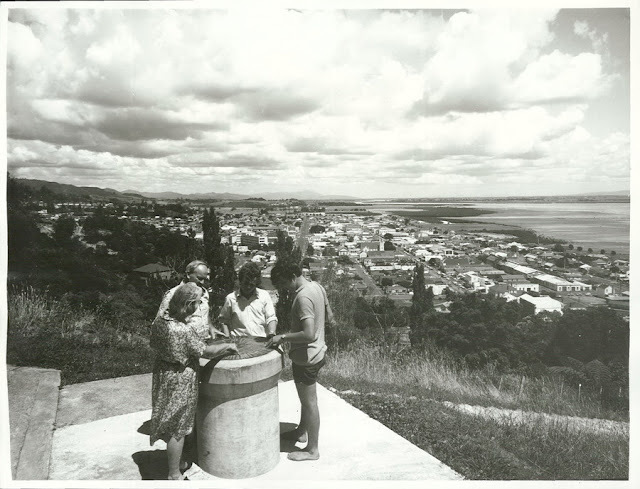 While the photograph was being taken, there were several family groups at the memorial and all were fascinated with the direction finder. 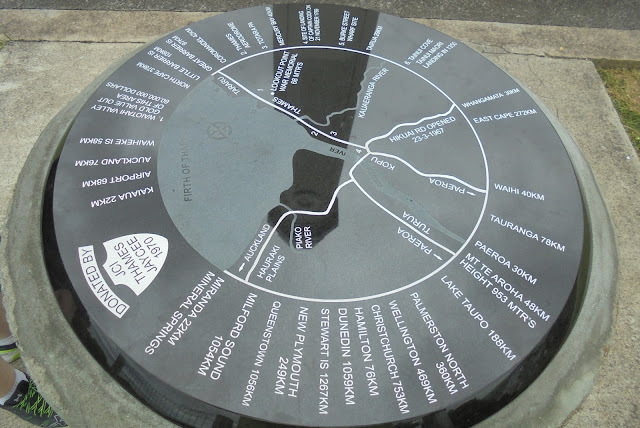 Interesting to hear everyone checking locations and distances and other facts that are recorded on the 'plaque'.